I tried signing up but the message failed to send or I did not get a reply, what do I do? T-Mobile Customers – Sometimes T-Mobile will default your account to block text message from short codes, so you will need to contact T-Mobile and ask them to enable SMS from short codes. 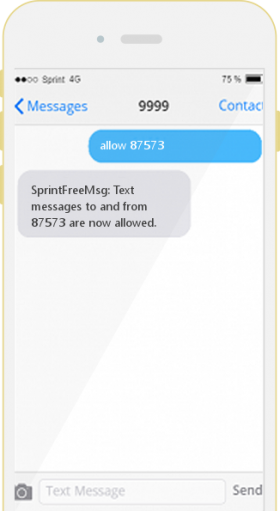 Sprint Customers – Sprint usually defaults accounts to block short codes. To unblock our short code, text allow 87573 to 9999 and then you should be able to send & receive messages to/from our short code. My phone provider is not listed above or I am having a different issue, what should I do? If you are not able to send/receive message to 87573 try reaching out to your mobile carrier and making sure they are not blocking short codes, specifically 87573.